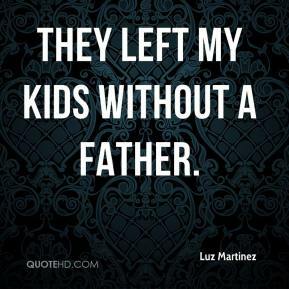 They left my kids without a father. 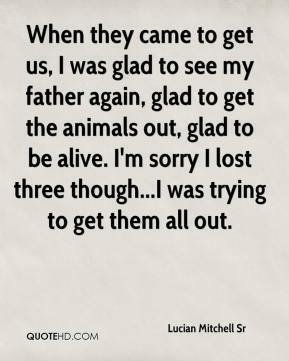 When they came to get us, I was glad to see my father again, glad to get the animals out, glad to be alive. I'm sorry I lost three though...I was trying to get them all out. 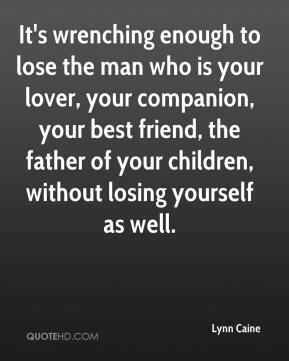 It's wrenching enough to lose the man who is your lover, your companion, your best friend, the father of your children, without losing yourself as well. We're here on George Washington's birthday to demonstrate our moral outrage against this un-American bill. 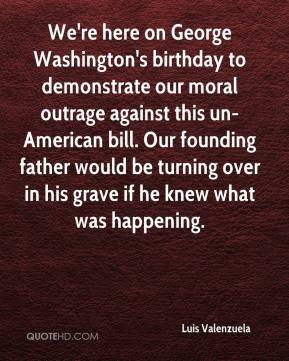 Our founding father would be turning over in his grave if he knew what was happening. 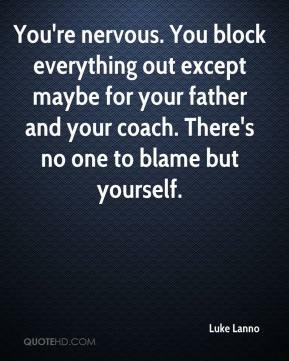 You're nervous. You block everything out except maybe for your father and your coach. There's no one to blame but yourself. 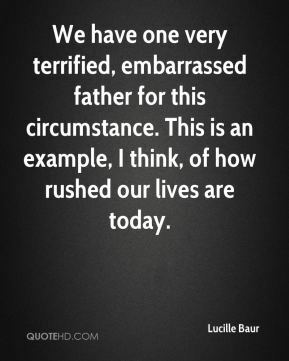 We have one very terrified, embarrassed father for this circumstance. This is an example, I think, of how rushed our lives are today. I wanted us to come together and say thank you to him. 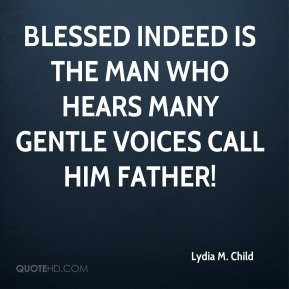 We have always considered him our spiritual father. 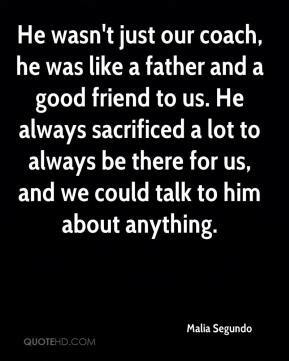 He wasn't just our coach, he was like a father and a good friend to us. He always sacrificed a lot to always be there for us, and we could talk to him about anything. 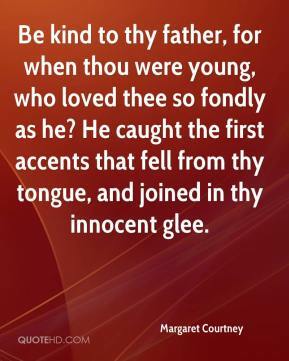 But she loved her dad; she was a daddy's girl. 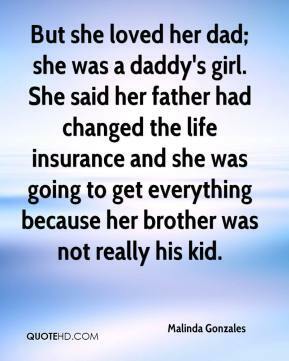 She said her father had changed the life insurance and she was going to get everything because her brother was not really his kid. I saw my dad playing and got interested in the game. 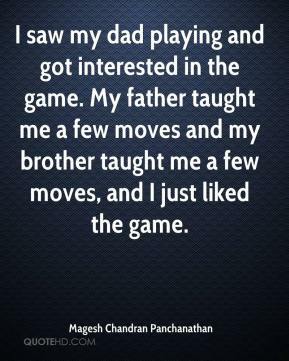 My father taught me a few moves and my brother taught me a few moves, and I just liked the game. 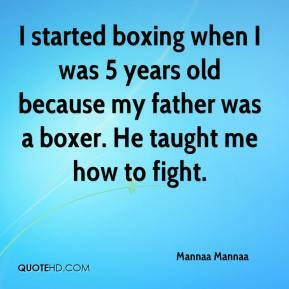 I started boxing when I was 5 years old because my father was a boxer. 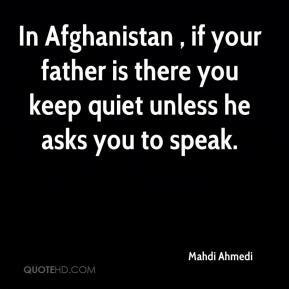 He taught me how to fight. I was around when my father finished the last payment of his house. I remember like it was yesterday. He had worked all those years to own that house and he cried. He was so excited and so happy and I want to see other people get that feeling, too. My father decided I should leave. 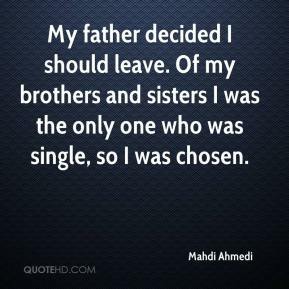 Of my brothers and sisters I was the only one who was single, so I was chosen. 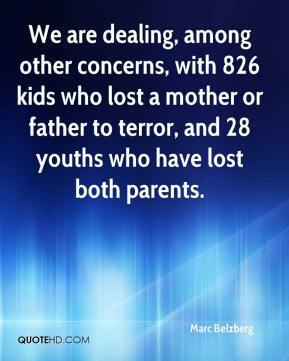 We are dealing, among other concerns, with 826 kids who lost a mother or father to terror, and 28 youths who have lost both parents. 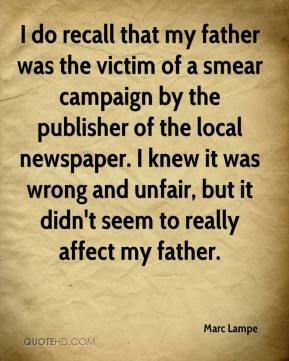 I do recall that my father was the victim of a smear campaign by the publisher of the local newspaper. I knew it was wrong and unfair, but it didn't seem to really affect my father. 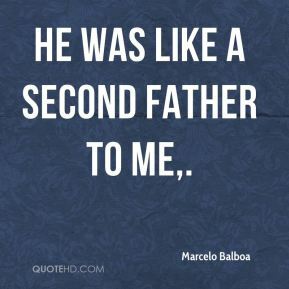 He was like a second father to me. 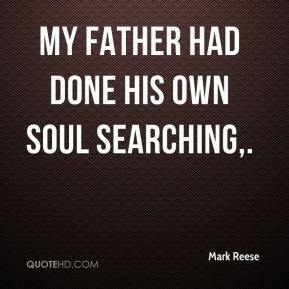 My father had done his own soul searching. Yesterday I asked the Russian government for permission to temporarily bury my father, Slobodan Milosevic, here in Moscow. 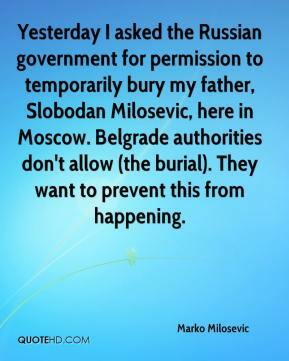 Belgrade authorities don't allow (the burial). They want to prevent this from happening. The issue is not whether we will transfer Elian to his father, but when and how. 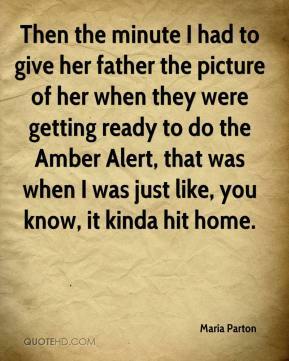 Then the minute I had to give her father the picture of her when they were getting ready to do the Amber Alert, that was when I was just like, you know, it kinda hit home. 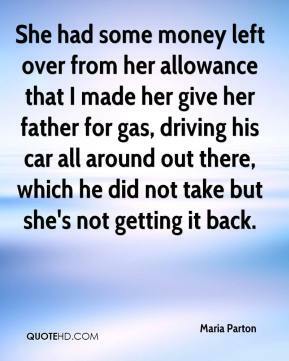 She had some money left over from her allowance that I made her give her father for gas, driving his car all around out there, which he did not take but she's not getting it back. I lost my child. Her children lost their mother. Her father lost a daughter. 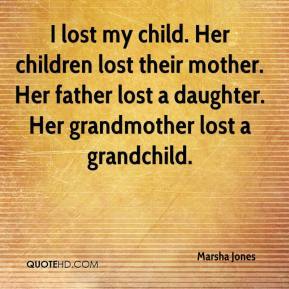 Her grandmother lost a grandchild.